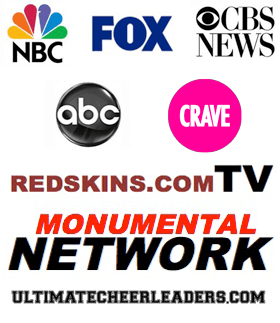 ***GRAB Our ULTIMATE PRO CHEERLEADER CHECKLIST NOW! This is your step by step guide to Go Pro!! Click on the below link, answer a few simple questions, and then put your hands on the checklist TODAY!! Did you know that not all NFL and NBA cheerleaders started with formal dance training!? As it turns out…many of them were actually cheerleaders! Many ladies in the industry dedicated a lot of time and effort to transform their cheer and dance skills into PROFESSIONAL dance skills! Trust me…THERE IS A HUGE DIFFERENCE! It takes A LOT of practice to be able to tell a story with your dance moves and we are here to help! In this video I cover 5 tips that can help you transform from being a cheerleader to a dancer! Don’t forget to grab our Ultimate Pro Cheerleader Checklist! It’s literally your STEP BY STEP guide to going pro!